General Apple and Mac desktops is covered in The Mac News Review. iPod, iPhone, and Apple TV news is covered in The iNews Review. All prices are in US dollars unless otherwise noted. 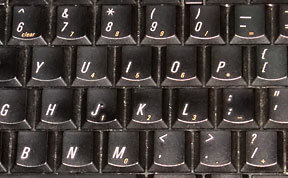 Embedded keypad from WallStreet PowerBook. Macworld's Christopher Breen answers a reader who says he misses being able to press the Fn key and use the J, K, L, U, I, O, 7, 8, 9 keys as a number pad, as you could with older Mac 'Books, and asks if there is any way to make that work with new MacBooks? There is, Breen says. 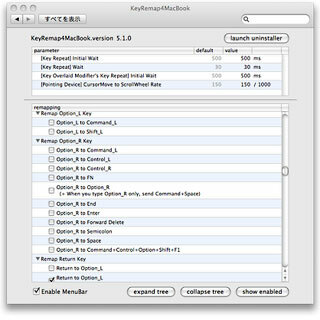 Download a copy of Takayama Fumihiko's free KeyRemap4MacBook. This is a PreferencePane that lets you remap the Mac's keyboard in interesting ways. MacNN reports that Apple's latest MacBook Pro offerings appear to have an ongoing speaker audio-failure issue when running most varieties of Windows in Boot Camp, with several users reporting speaker failures - especially gamers who use Mac OS X for daily computing, then switch to Windows to play games. PR: Dell is taking thin to an all-new level in performance with its new Z model laptops. Featuring thinner, lighter bodies, longer-lasting power-sipping batteries, and incredible performance, the new Inspiron 14z and 15z feature widescreen displays, ample hard-drive storage and a range of entertainment options, making it easy to take your fun and entertainment on the road for extended periods of time. The thinnest-ever models of Dell's most popular consumer laptop PC, the new Inspiron 14z and 15z are about 1-inch thin, slim enough to fit in any bag, and feature the newest Intel Core Solo 2 ultra-low voltage processors for extended entertainment capability and Web surfing. 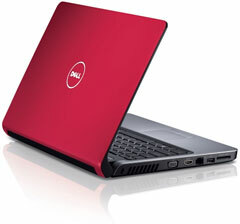 They join the recently introduced Inspiron 11z, rounding out the Inspiron Z portfolio of thin, power-sipping laptops. 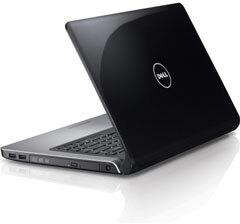 Thin Is In (about 1-inch tall) Dell consumer laptops with 16:9 displays in 14-inch (14z) and 15.6-inch (15z) models. Choice of Intel Pentium Core 2 Solo ultra-low voltage, Core 2 and Core 2 duo processors. Up to 500 GB, 7200 RPM hard drives; Included DVD drive. Up to 8 GB DDR3, 1066 MHz. Standard WiFi and optional Mobile Broadband. Choice of 4-cell (4-hour) or 6-cell (8-hour) batteries. Express Charge (4- and 6-cell batteries) are 80% recharged in 60 minutes. The Inspiron 14z and 15z are available in black or cherry red and can be purchased from $599 in retail stores and at dell.com, with worldwide availability in the coming weeks. PR: Provider of high-quality stands for Apple's MacBook line of computers, Fins-Up, LLC, today announced the availability of the FIN for Apple's MacBook/MacBook Pro Unibody models. Designed and manufactured to exacting standards exclusively for Apple's MacBook line of laptop computers, the FIN is constructed from durable 100% aircraft-grade aluminum. The FIN boasts a beautiful powder coated finish which perfectly matches the MacBook line. The FIN easily attaches to the MacBook and sports equally easy removal. When installed, the FIN tilts the MacBook to a perfect ergonomic angle for typing and screen viewing. The FIN also serves as a convenient handle that not only makes carrying the MacBook easier, but aides with the insertion and retrieval of the MacBook from computer bags. And when installed, the FIN provides beneficial heat dissipation for the MacBook, helping to increase product longevity in the process. "We're very excited to bring the FIN for the Unibody models to MacBook users around the world," said Tim Trombly, founder and CEO of Fins-Up, LLC. "The FIN is really three superior products in one: a stand, handle and cooling system that perfectly blends with the MacBook to add to its overall form and function. Moreover, the price point we've set means everyone can easily afford a FIN of their own." Priced at $39.95, the FIN is available for the MacBook 13" (Late 2008), MacBook Pro 15" (Late 2008), MacBook Pro 17" (Early 2009), MacBook Pro 13" (Mid 2009), MacBook Pro 15" (Mid 2009), MacBook Pro 17" (Mid 2009) Unibody models, MacBook Pro 15", MacBook Pro 17" non-Unibody models, and MacBook 13" (black and white). Visit www.fins-up.com for complete details as well as to purchase directly. PR: Samsung Electronics Co., Ltd. has announced its new 640-Gigabyte (GB) 2.5" Spinpoint M7 internal hard disk drive. The new 640 GB hard drive, now the top-density drive of the popular M7 family, has an areal density of 516-Gigabit per square inch for each 320 GB platter, which is a 28 percent increase per platter over Samsung s previous density-leading 500 GB hard drive. Samsung s new Spinpoint M7 model is designed for high-end mobile computing applications requiring greater shock resistance without a compromise in performance. With the addition of the new internal drive to the M7 series, our customers will get the best viable combination of density, performance and reliability that is essential for high-end notebooks and mobile applications, said C.H. Lee, vice president, Storage sales & marketing, Samsung Electronics. Samsung maximizes the density level of its platters to enhance the reliability and stability of its internal hard drives. Increasing the areal density of 516-Gigabit per square inch raises the total drive capacity without adding additional platters. By maximizing capacity without increasing mechanical parts, the two-platter 640 GB drive has lower power consumption levels and higher operational stability compared to drives with a higher number of platters. The new M7 drive offers a shock resistance level of 400G (2 ms) in operation mode and 900G (1 ms) when the power is off. An optimized system-on-chip controller reduces the power consumption in both seek and idle modes to the lowest level among comparable drives. The Spinpoint M7 utilizes Samsung s proprietary SilentSeek!" and NoiseGuard!" technologies to minimize noise-levels during drive operation. The halogen-free drive complies with the European Union s Directive on the Restriction of the Use of Certain Hazardous Substances in Electrical and Electronic Equipment (RoHS). The Spinpoint M7 series, which is available in 160, 250, 320, 500, and 640 GB capacities, offers a rotational speed of 5400 RPM, a 3.0 Gbps SATA interface, Native Command Queuing and an 8 MB cache memory. Initial shipments will be available in Europe and the US from mid September, with worldwide availability starting from late September. The 640 GB Spinpoint M7 will begin shipping with a MSRP of $149.99. PR: MyService makes it fast and easy to replace your Mac's failing hard drive or upgrade to a larger hard drive. All prices include the transfer of your current data to the new hard drive. If your current hard drive is not working properly and the data cannot be transferred, MyService will install a base OS on the new hard drive. Data Recovery is also available. Your current drive is always returned to you. Flashing "?" Clicking noises. Slow access. These can all be signs of a failing hard drive. If you suspect your drive may be failing, try to back up important files ASAP. Upgrade your Intel Mac to Snow Leopard while your new hard drive is being installed. The single user upgrade (from 10.5) is $29 and we'll migrate your data at no charge. Select the upgrade after adding a MacBook, MacBook Pro or MacBook Air hard drive to your cart. Upgrade your Mac's storage with hard drives up to 500 GB. 7200 rpm drives transfer data faster and will increase overall machine speed with little impact on battery life. MyService installs only the highest quality brand new hard drives. All hard drives come with 3 to 5 year warranties. If the hard drive fails during the warranty period, MyService will replace it with a brand new drive. SATA and PATA refer to the technology used to connect hard drives to the computer. SATA and PATA connections are physically different so the drives are not interchangeable. SATA drives are found in the MacBook line, while PATA drives are found in PowerBooks, Apple TVs and iBooks. *For all Unibody MacBook Pro & 17" (Silver Keys) MacBook Pro only. 1st gen MacBook Airs cannot use 2nd/3rd Gen drives and vice versa. PR: This is a very powerful keyboard remapper for Mac OS X. In addition to simple key remapping, it has special remapping modes like Emacs-mode, SandS-mode (Space and Shift). You can add new key remappings very easily. Add new remappings if the ones you need are not in the existing key remapping options. Open System Preferences, then click KeyRemap4MacBook. Change the key repeat wait, and check remapping options that you want to enable. Tested on MacBook, MacBook Pro, iMac, Mac mini.